When we think of samurai, what is the symbol that comes to mind? Whenever there is any discussion of historical warfare and the importance of sword-fighting skills, the word “Samurai” always makes its way into the middle of the conversation. For hundreds of years, the heroic tales of the unmatched bravery of the Samurai have been delivered to the ears of eager listeners. The spirit of the samurai casts a long shadow over the culture and history of Japan. What's so special about the "Sword of the Samurai" itself? how well do we really know the spiritual and cultural elements they embody? Traditional Japanese katanas are famed for their incredible strength and cutting ability. Steel-producing techniques were brought over from China and Korea, while the iconic curve of the swords is thought to have been influenced by Arabic-style weapons. The katana first appeared around the year 1400 C.E. It can take more than a dozen people to make a katana over the course of several months, with the intent that it becomes a lifelong companion for one person to wield and, eventually, be buried with. 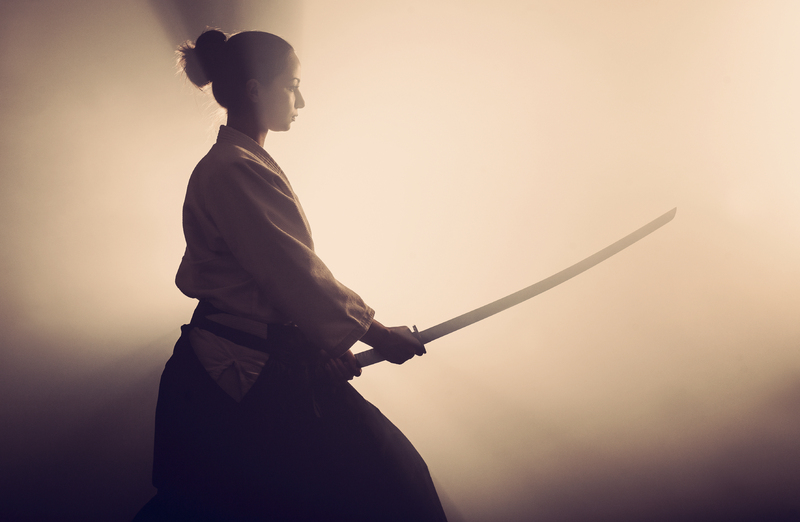 Although the katana can be viewed as nothing more than a simple tool, the culture surrounding it places a high and often mystical value on the sword. The process of making a Samurai sword is an elaborate one and requires great conviction and patience. The sword is made of excellent-quality steel that is repeatedly heated, hammered and folded. 1. It ensures the removal of all air bubbles that form in the steel (which weakens the sword) during heating. 2. Repetition adds layers to the surface of the sword, which is good for increasing its strength. 3. It ensures that the naturally-occurring strengthening properties of carbon are distributed throughout the surface. Different from swords of other countries, the biggest feature of Katana is that the body of blade itself has artistic value, aside from the fittings (Koshirae). The smith pulls the katana from the fire and plunges it into a trough of water in a rapid cool-down process called "quenching." Because the sword's back edge and inner core contain very little carbon, they can contract more freely than the high-carbon steel at the front edge of the blade. The difference in both the degree and speed of contraction between the two forms of tamahagane causes the sword to bend, creating the distinctive curve. This is a tricky stage, in which as many as one in three swords is lost. A skilled sword polisher may spend more than two weeks honing the sword's sharp edge. He meticulously rubs the blade with a series of grinding and polishing stones. Each consecutive set of polishing stones contains finer and finer silicate particles and removes less and less of the steel. In the final stage, insert the hilt pegs through the holes in the blade's tang and fasten them to their anchors. Metalworkers add a decorated tsuba (guard) and other metals at the sword's hilt. Carpenters fit the weapon with a lacquered wooden saya (scabbard), decorates with different adornments. The katana's handle is as much of a work of art as the blade itself. It is usually made of hard wood and wrapped with tight rayskin and ito, fixed by two mekugi. Finally, the katana is returned to the swordsmith, who examines the weapon one last time.